Although I sang songs into a Fisher Price tape deck when I was about 5, I began to really write songs when I was 13. Over the course of the next 10 years, the songs I wrote started to resemble music. Before 1995, I wrote plenty of rock, pop, and experimental music, and I studied jazz and classical. Someday, I may comb through the wreckage looking for something worth resurrecting, but for now, I consider everything before 1995 as lost. A few recordings have survived, but they are almost all Yamaha cassette based 4 track recordings. A rare hacked together collection of the most listenable early 4 track recordings is owned by a few people as Classic Dave (on side 2 of the Silent Bob cassette). I'm not even sure if I have a copy of this, and I don't remember what was on it. The second half of college was an incredibly fruitful time musically. Although most of the recordings from this period are far from professional quality, many songs stand up well. From around 1993-1995, I was in musical limbo, recovering from my experiences at Berklee College of music. I spent a long time trying to write whacked out musical theater works, but I never finished any of them. Then, in the summer of 1995, I was asked to play bass in a pseudo-punk band with guitarist Dan Goldstein and drummer Christian Kisala. Although punk was never really my thing, I joined up and the band eventually settled on the name Silent Bob, after a character in several Kevin Smith movies. We released one album with songs mostly written by Dan and I, and we played three gigs: a pig roast, a friend's party, and a CBGB's audition. The album is a bit on the heavy side with a few punk influenced songs, something rare in my repertoire. I credit this band and album, for returning me to my roots, and accepting once again that complexity isn't a mark of quality. The experience of playing in Silent Bob helped me finally realize that I was a songwriter and not a composer. This realization resulted in an incredibly prolific summer. In addition to 5 Silent Bob songs, I wrote the songs that would appear on two other albums: Before and Beneath the Dust. However, I wouldn't actually record Beneath the Dust until 1997. Before was hacked together on a borrowed cassette based 4 track in about 2 weeks. It is an acoustic record with melancholy piano songs like "In the Midst," bitter guitar ballads like "Beth," and powerful, percussion heavy, odd meter songs like "Crippled." If I ever have a lot of time, I'd like to re-record this record, but until then, it only exists in its current poorly recorded cassette form. In 1995/1996, I spent a year studying at the University of Manchester in Manchester, England. I brought my guitar along and wrote about 40 songs, most of which appear on two albums I recorded when I returned to America: Manchester and Oxford Road. Manchester contains 18 of those songs and was recorded at Chuck Scott's Knee Deep 24 track studio. Styles range from synth pop like "Better than that," folk ballads like "Sunset," and straight ahead rock songs like "Numb." Some of the songs have an intentionally British feel to them. "Someplace I've Never Been" is reminiscent of the Cure and "Better than that" sounds a bit like Depeche Mode. This album was only released on cassette, but I hope to put out a CD version at some point in the near future. 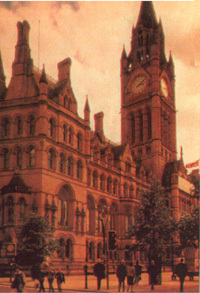 All songs written by David W. Jacobsen from September 1995 - June 1996 in the U.K.
For promotional purposes, I released a four song version of Manchester. After recording Manchester, I realized that I wrote too many songs to record in someone else's studio, so I began to learn more about recording music myself. Beneath the Dust is my first attempt at recording my own music on anything more ambitious than a four track, but a few of the songs don't sound like it. To teach myself about audio recording, I dug out some songs from 1995 that I wasn't afraid of ruining and produced a surprisingly listenable record. I also included an old 4 track alternate Silent Bob take of the song "Gold Beneath the Dust." Although this album has never been released on its own, half of the tracks were released with Oxford Road. 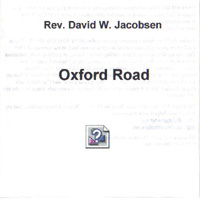 All songs written by David W. Jacobsen during the summer of 1995. After Beneath the Dust, I finally moved into the digital world and my recording skills began to improve. For Oxford Road, I dusted off 10 unrecorded songs that I wrote in England at the same time as Manchester, and finally got them to tape in 1997. The album is a neat collection of songs ranging from the wacky "Conversation Optional," to the Pink Floyd like "Captive Queen." It also contains some beautiful piano/vocal pieces like "Cobwebs and Decay," as well as "Vital Signs," which sounds disturbingly techno. When the album was done, CD-Rs were finally cheap enough to produce at home. Since I could fit 74 minutes of music on the CD, I added the better half of Beneath the Dust. 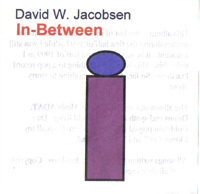 All songs written by David W. Jacobsen 1995 - 1996. After Oxford Road, I recorded Aftermath, a dark synth pop song cycle written in 1996. The songs are linked by melodies that pop up through out the cycle in different songs. There are some very strong melodies and wonderfully moody tracks hidden on this gem. Although some of the arrangements sound a little dated, the underlying songs are strong. "Clarity" begs for forgiveness as it recounts tragedies, "... and the Band Played On" sounds a bit like New Order as it talks of AIDS, and "Parasite" has a wonderfully catchy melancholy feel. I finished up my college material with, In-Between. Written mostly in 1997 and finished in 1998, it is a somewhat upbeat and almost pop collection of songs. Although some of my early work displayed a sense of humor, In-Between contained more obvious attempts at humor with "Life is Good" and "Where Does All My Money Go?" Where Aftermath was clearly a dark moody record, In-Between wasn't afraid to try pop music with tracks like "Something More" and "Someone Else's Life." After I graduated college, I looked back at all my material and decided to make a greatest hits collection ... unfortunately, I hadn't had any hits. Nevertheless, I put together a compilation called Gold Beneath the Dust containing songs from Silent Bob, Before, Manchester, Beneath the Dust, and Oxford Road. I also re-recorded a few tracks from Before and included the unreleased "Zimri and Zepora." If you knew me in 1999, chances are pretty good that I gave you a copy of this album. I used to carry copies around and just give them out to people I met. If you're not using an AOL CD as a coaster, check and see if it's one of my albums. This album was formerly available from mp3.com. Lyrics are still available online. Gold Beneath the Dust left out a few classics and didn't have any songs from Aftermath or In-Between. Therefore, I released a second compilation containing more tracks from my college years. 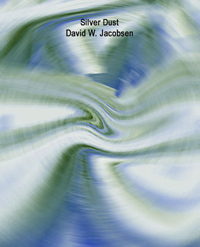 There aren't as many copies of Silver Dust as Gold Beneath the Dust out there, but a lucky handful have this compilation as part of their David W. Jacobsen collection. After college, my albums finally started to sound professional and the songs matured. I started performing live more often and effectively gave up on having a band. At this point, my songs started heading in the folk direction and I officially became an acoustic guitarist. Up until this point, I considered myself primarily a bass player. Fairmount Stones grew out of my first year of post-college life disillusionment. It has some fantastic songs on it, but be warned, it's a real razor-fest. This is the most depressing album I have released so far. I didn't realize it at the time, but I see now that a lot of these songs have to do with the inability to accept change. "Oxford Street" laments a friend who ruins his life, "Hope You Like the Flowers" takes place while watching an ex-girlfriend get married, and "Cubicle" is part one of a cycle of songs I would explore further on a later album. This album is available at live shows. 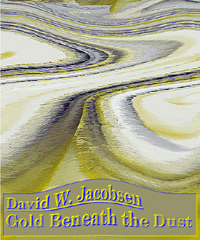 The Chasm contains an eclectic mix of styles and moods about loneliness and disconnection. It is about the gap between people who are trying to connect. This album is one of my strongest and has an excellent balance of humor and pathos making it neither novelty nor suicide inducing. "Dry Spell" and "Vaseline" are funny crowd pleasers, "New Years Eve" and "Jacqueline" are wonderful pop, and "Jersey Summer" perfectly captures the melancholy of a summer's end. 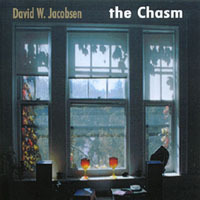 The Chasm was the first album that I had professionally packaged and it received some very positive press. I still promote it, and it can be purchased at cdbaby.com and iTunes. Cubicle Wonderland actually contains two connected song cycles that both reflect a desire for a different life. The first part, "Cubicle in the Sky" (tracks 1-8), contains funny, yet poignant songs about office life. It is kind of like a musical combination of the movies Office Space and Startup.com with elements of Dilbert. The second part, "Wonderland Fades" (tracks 9-23), contains more serious songs about longing, restlessness, jealousy, and loss. For anyone yearning for a life beyond their reach (or seeking success in the arts), this may be cathartic... or it may make you slit your wrists. Although very different albums, the Chasm and Cubicle Wonderland were mostly written at the same time. 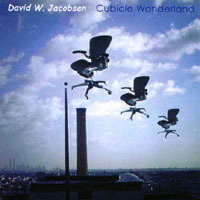 Cubicle Wonderland is available for purchase at cdbaby.com and iTunes. Footprints picks up where both the Chasm and Cubicle Wonderland leave off and deals with obsession and mortality. The Chasm dealt with not being able to tell someone how you feel about them. In Footprints, you tell them and they shoot you down. Cubicle Wonderland asked if there is more to life than toiling away at some job until you die. Footprints copes with the possibility that there isn't. However, most of the album isn't really depressing and it approaches these themes with novel and humorous perspectives. 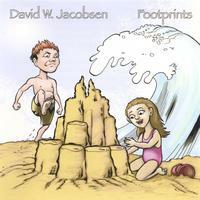 Footprints is available for purchase at CD Baby and iTunes. 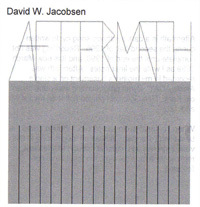 All tracks recorded by David W. Jacobsen at Zbokth. Footprints Addendum (tracks 1-5) contains songs mostly written for the Footprints album that were not recorded with the rest of Footprints. After Footprints, I went back and recorded these songs for a limited edition EP. Rather than an independent EP release, I decided to combine the tracks with other outtakes and unreleased material as Dust. Snow in New York City (tracks 6-14) is a depressing semi-political song cycle written from 1998 through early 2001. Many of the songs were written the summer that I was in a car accident, fired, evicted, and sued. I was finally finishing up the recording when I was in another car accident in March 2001. I shelved the album because I felt it had too much negativity, even for me. In late 2005, I cleaned up the mixes a little and removed a few tracks. Outtakes (tracks 15-21) contains songs that were originally recorded for Footprints (tracks 16,17), Wonderland Fades (tracks 15,18-20) , or Fairmount Stones (track 21), but didn't make the final cut. They are included as is. Dust is available for purchase on CD Baby and iTunes. 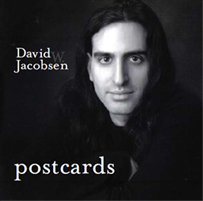 Postcards is a compilation of humorous and serious songs from the Chasm, Cubicle Wonderland, Footprints, and Dust. Most of the songs in this period have some connection to the time I lived in Jersey City or the few years after when I moved back in to NYC. This is the period of my life before I had a kid and most of it was written before I was married. CDs were still prevalent when this period started, but by the end were becoming rarer. It includes one synth-pop record and three singer/songwriter albums. 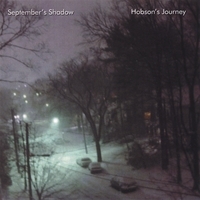 Hobson's Journey was released under the band name September's Shadow because it is rather different from my recent work. It features less acoustic and more electronic sounds, there are numerous instrumental pieces, and almost half the vocal tracks are sung by vocalists KT Wills and Stefanie Seskin. It contains two unconnected song cycles. "Hobson's Choice" (tracks 1-9) contains catchy, melancholy synth pop music with somber lyrics. "The Journey Home from Rexel 4" (tracks 10-18) contains instrumental works, several of which were original written for a video game. The album is available for purchase at CD Baby and iTunes. You can listen to some songs on MySpace, and the band has a separate Web site at septembersshadow.com . 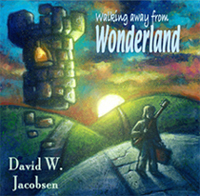 Walking Away From Wonderland is the follow up to Footprints. Many of the songs deal with losing touch as the years go by either with friends or former lovers. Some of the loss is humorously described in the form of break up songs where the narrator is happy the other person is gone. Others express longing for people, places, and times that are forever out of reach. However, not all of the songs adhere to this central theme and the album's content and mood vary considerably. The album is available for purchase at CD Baby and iTunes, you can listen to some songs on MySpace. 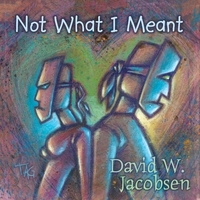 Not What I Meant contains a mix of humorous and reflective songs many of which have the reoccurring theme of people failing to communicate. Lyrics play on miscommunications where one party and the other are on different pages and at least one of the two is unaware of this discrepancy. It deals with misunderstandings and their lighthearted or heartbreaking repercussions. Musically it continues in the singer/songwriter style with additional mandolin usage. 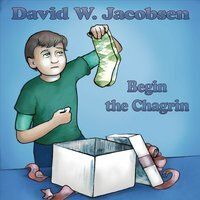 Begin the Chagrin presents a range of noble, relatable, pitiable, and revolting characters dealing with disappointment or causing it for someone else. Its frustrated or frustrating protagonists include those failing at art, love, or life in general. Characters yearn to be someone they are not. Starting in the acoustic singer/songwriter genre, its progressions and melodies are catchy without being predicable. Moods range from satirical to somber, sometimes within the same song. With CDs more or less a thing of past and less time to record, I concluded it made more sense to release short digital-only EPs. 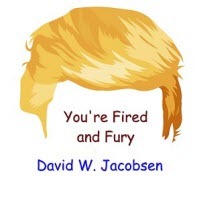 You're Fired and Fury is a short topical EP mostly regarding the 45th President of the USA and his ardent supporters. Without acoustic guitars, it is a more in your face record than most of my recent catalog, influenced by politically themed music from Phil Ochs through the Clash. It is my sincere hope that this becomes dated as soon as possible. This is available for digital download and streams at major sites such as YouTube, Spotify, and iTunes. WWJD (Who Would Jesus Deport)?